The path to redemption is not necessarily a straight line—rather, it can be sinusoidal instead. With Jimmy McGill (Bob Odenkirk) in Better Call Saul, his journey as a con-man trying to turn into a genuinely good person is full of twist and turns, with opposition coming from forces who believe he will never change. And it's perhaps because of these forces, Jimmy will be reduced into the very monster these people think him to be. 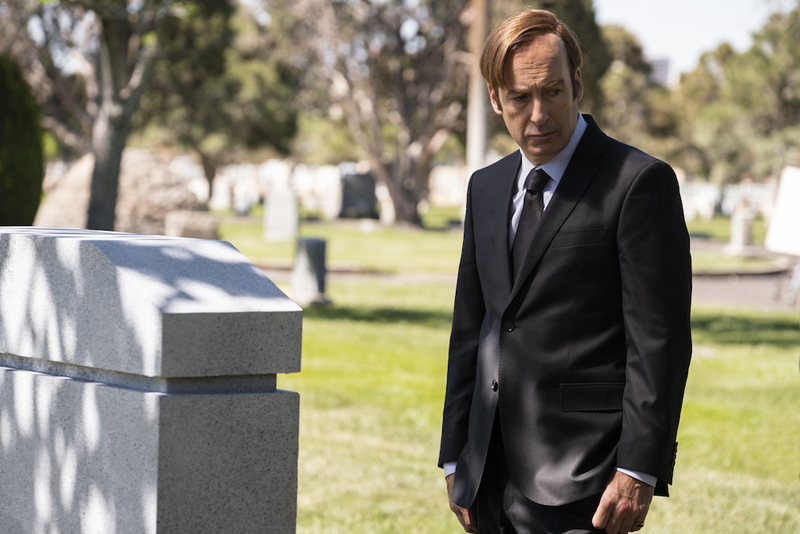 Season 4 of Better Call Saul does not skyrocket us into the Saul Goodman we know from Breaking Bad, but there are indeed shades of Saul throughout. Perhaps it is because of this slow burn that the transformation we witnessed before our eyes was all the more terrifying and tragic. Chuck McGill is gone, and the characters are left to deal with the fallout. While initially struck, Jimmy is able to lift any burden from himself after Howard Hamlin (Patrick Fabian) makes a confession about his role in Chuck's downfall—as a result, Jimmy acts rather casually and callously to any mention of the death of his brother. Jimmy's lackadaisical nature of several factors that begins to drive a wedge between him and his romantic partner Kim Wexler (Rhee Seehorn) and the unlikely pair that has remained unshaken is, well, shaken. It is a tragedy in slow motion, and while we know that Kim Wexler has no place in Breaking Bad, the fact that Jimmy and Kim still make several attempts to ignite their relationship and salvage it makes it all the more heartbreaking. It's the emotional center of these ten episodes, and it is expertly done. There is no melodrama in sight, with these two acting organically in a way that makes you root and sympathize for the couple, even if the future may not be bright for the two. Better Call Saul has generally been a 60 percent Jimmy show and a 40 percent Mike Ehrmentraut (Jonathan Banks) show, but ever since Gus Fring (Giancarlo Esposito) has been thrown in the mix since season 3, the ratios have been a bit in flux. Mike and Gus have their own compelling storylines, though they slightly suffer from a bit of prequel-itis. While there's some great development on Mike's state of mind while finally working for Gus, most of their plotlines involve 1) Gus monitoring the medical status of his nemesis, Hector Salamanca (Mark Margolis) and 2) the creation of the meth superlab that we see in Breaking Bad, the latter being more interesting than it initially sounds. 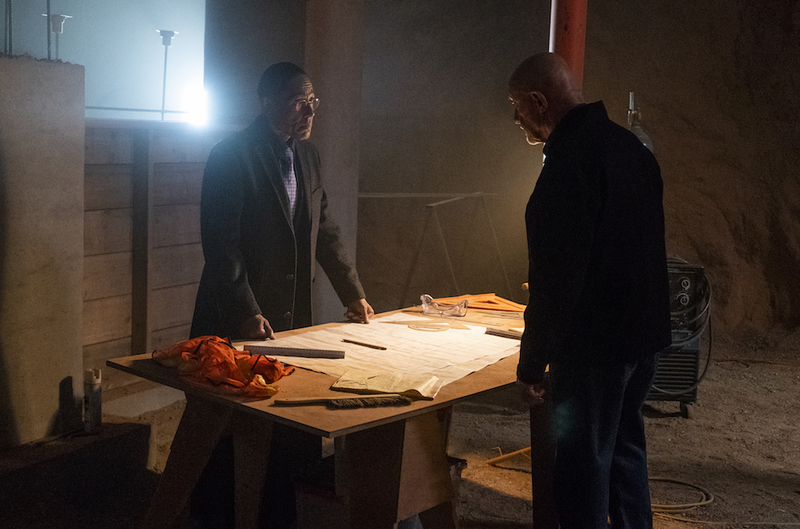 Mike and Gus recruit a German engineer named Werner Ziegler (Rainer Bock), who with his team takes on the difficult task in the second half of the season. Ultimately, this subplot feels like an extended version of Mike's famous "half-measures" speech from Breaking Bad, a cautionary tale for what's to come for the character later on. Mike wants these workers to keep their spirits high during this secretive process as they are kept in an enclosed warehouse, and cabin fever begins to sift in in what almost seems like a sociology experiment. Not to mention, Mike's friendship and trust in Werner begins to compromise the operation. 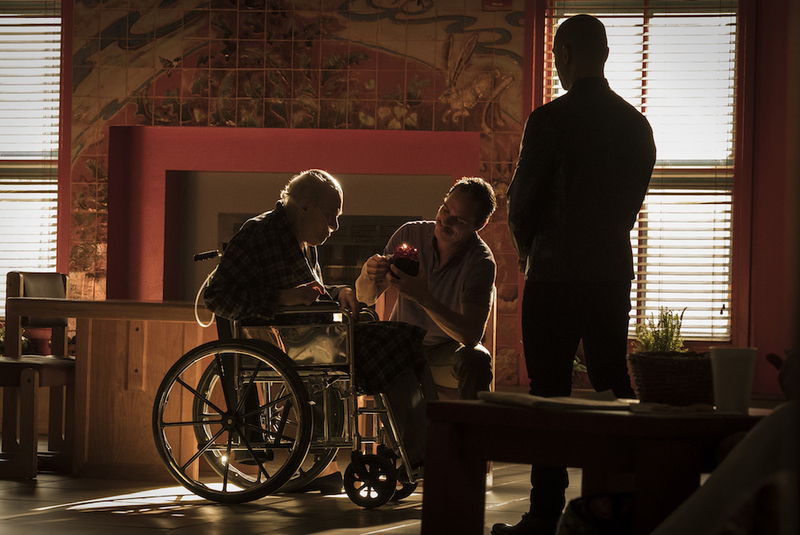 While we had some time with Nacho (Michael Mando) in the first half of the season, dealing with the aftermath from basically onsetting Hector Salamanca's stroke, the plotline felt cut short. As Gus finds ways to manipulate Nacho, the character gets deeper into the criminal underbelly, which is ironic as these actions were meant to get him out. In an otherwise peaceful but still dramatic show, Nacho's story brought Breaking Bad-level violence back to the forefront, if but for a few occasions. It is to be expected from a show that involves the creative minds and eyes of the likes of Vince Gilligan, but Better Call Saul is a good-looking show. Even scenes of dialogue that are supposedly dull are blocked and lit in a way where viewers are able to extrapolate interesting details and character traits. Look no further than the cold openings of most of the episodes, which in usual Breaking Bad/Better Call Saul manner are diverse, unpredictable, and revealing—my favorite might be the opening of episode 3 ("Something Beautiful"), which has Nacho and Gus's henchmen stage the aftermath of a fake shootout to throw off the Salamanca character, the whole sequence featuring almost no dialogue. Sometimes I feel targeted by this show, as if though it is aware of my penchant for flashy montage sequences. One montage in particular that I've been watching on repeat is from episode 5 ("Quite a Ride") that depicts Jimmy selling contract-less cellphones to some shady figures in the dead of night, set to Randy Crawford's "Street Life." And then we have the cold open montage of episode 7 ("Something Stupid"), which portrays Jimmy and Kim's diverging lives in splitscreen—I've probably already overused these words in this review, but this one is certainly both beautiful and heartbreaking. What I'm trying to get at is that Better Call Saul has revived the lost form of subtlety in visual filmmaking. There are plenty of television shows out there that I like, but even they feel hamfisted and annoyingly overt. While Saul may sound like the cinematic equivalent to whatever pretentious novels your English teacher made you analyze in high school, it is difficult to not admire the writers' ability to convey character and emotion without spelling everything out to the audience. Just like in real life, no person in Better Call Saul is perfect. In fact, season 4 might be where Jimmy's biggest flaw is evident. He has been working hard for three seasons of television, apparently to be as good as those he admires. But Jimmy doesn't want to just be a good person—he wants to be better than those he deems to have wronged him. And with that, Jimmy becomes a man who goes too far and comes out as an entirely different person. By the time season 4 wraps up, I'm nearly ready to stop saying "Jimmy" and find & replace all instances with "Saul." It's a long journey, however, and besides one brief meeting between Jimmy and Mike, these plotlines really don't overlap. It's a wonderful showcase for the acting abilities of Rhee Seehorn (who must get an Emmy nomination, or I will punch someone) and Michael Mando, but Mando and Patrick Fabian, despite getting some meatier material this season, are severely lacking in screen time. I can't imagine Better Call Saul going on for more than one more additional season, but at the same time, I want more time to enjoy this world and its inhabitants. Having four seasons with little to no gimmicks and consistently exceptional writing is a rarity even in this time of "peak" television, and I remain floored on how something so magnificent that I'm running out of hyperbolic adjectives to use can exist. If you're a Breaking Bad fan who has been holding out on this show, you are nothing more than a fool. And even if you aren't, strap in, because it's time to go on a wild ride—just prepare to be devastated by the time this all ends.